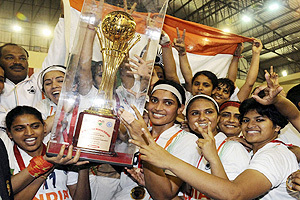 Indian Women Kabaddi team won the first World Cup. 16 teams from different nations participated in the inaugural World Championship organized at Kankarbagh Sports Complex at Patna, India. India, who won the inagural Asian Kabaddi tournament at 2010 Guangzhou Asian Games, defeated Iran in the final.